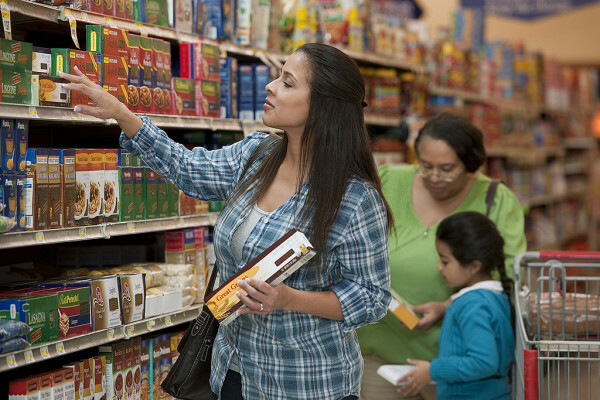 A U.S. Department of Agriculture photo advertising the Supplemental Nutrition Assistance Program, or food stamps. Gov. Paul LePage has proposed many changes to the state’s public assistance programs in recent years. We have opposed virtually all of them. So it’s a rare occasion when the governor and his administration discuss a public assistance policy change that we could support — if it weren’t part of a campaign to stigmatize those who receive such assistance. That change is a prohibition on using federally funded food stamps to purchase soda and candy. Department of Health and Human Services Commissioner Mary Mayhew said late last month that her department has requested a waiver from the U.S. Department of Agriculture that would allow Maine to exclude soda and candy purchases from the Supplemental Nutrition Assistance Program — a monthly food assistance benefit that 197,000 Mainers receive. A 2012 study published in the American Journal of Preventive Medicine found that SNAP funded the purchase of up to $2.1 billion annually in sugar-sweetened beverages such as those Mayhew seeks to ban from Maine’s food stamp program. Meanwhile, the federal government’s dietary guidelines recommend Americans cut back on their consumption of foods and beverages with added sugars. Children and teenagers get 16 percent of their daily calories from sugar, and the Food and Drug Administration for the first time in November recommended a daily cap on the amount of sugar Americans consume, limiting sugar consumption to 10 percent of calories. There’s good reason for the moves to limit sugar consumption: Consumption of sugary beverages is directly linked to weight gain and obesity, especially among children, and lifelong related health problems. SNAP should reinforce those limits by emphasizing nutritious purchases, as does the Women, Infants and Children program, also run by the USDA. A SNAP prohibition on sugary drinks and candy won’t on its own substantially alter the amount of sugar SNAP recipients consume. But the prohibition could be a part of a comprehensive approach to boosting nutrition among SNAP recipients that also emphasizes nutritional education. However, there’s little chance the federal government will grant the LePage administration’s waiver request. USDA officials under Republican and Democratic administrations have repeatedly declined requests from states and cities seeking to ban the use of SNAP dollars on food items of limited nutritional value. The agency says Congress would have to act first to allow such restrictions on SNAP purchases. The LePage administration is fully aware its waiver request will almost certainly be unsuccessful, as have other efforts to trim benefits for the poor. But the request provides the administration another opportunity to call for a politically popular welfare restriction. The administration could likely find better ways to use its time. But by declining such waiver requests outright, the USDA is missing out on opportunities to use SNAP to more effectively promote healthy food choices. The agency has undertaken a variety of initiatives to test the effectiveness of providing SNAP recipients incentives to purchase healthy foods. Using waivers, the USDA also could allow states and cities to experiment with different models of nutrition-based restrictions that are effective at promoting nutrition and aren’t administratively burdensome. The nation’s largest nutrition assistance program is effective, efficient and, by and large, not subject to fraud or abuse. But it can and should do more to ensure it’s emphasizing nutritious food choices.